If you have yet to pay a visit to the world-famous San Diego Zoo, then now is the time to cross it off your to-do list. When you do, Loretta the Airstream will be awaiting your visit. 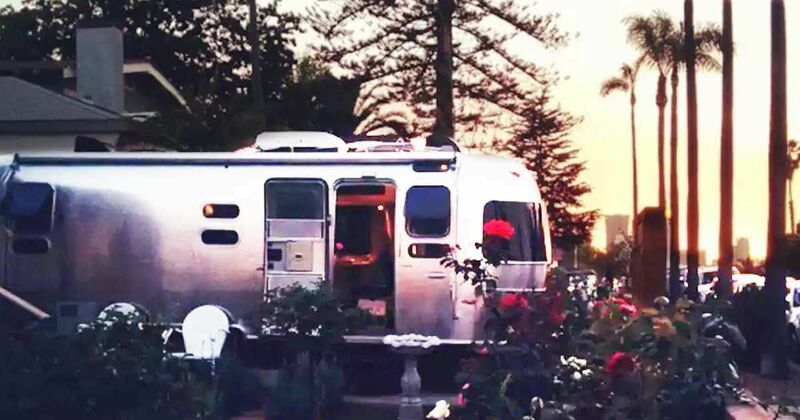 Of all the places to stay in San Diego, this Airstream definitely ranks high on the list. 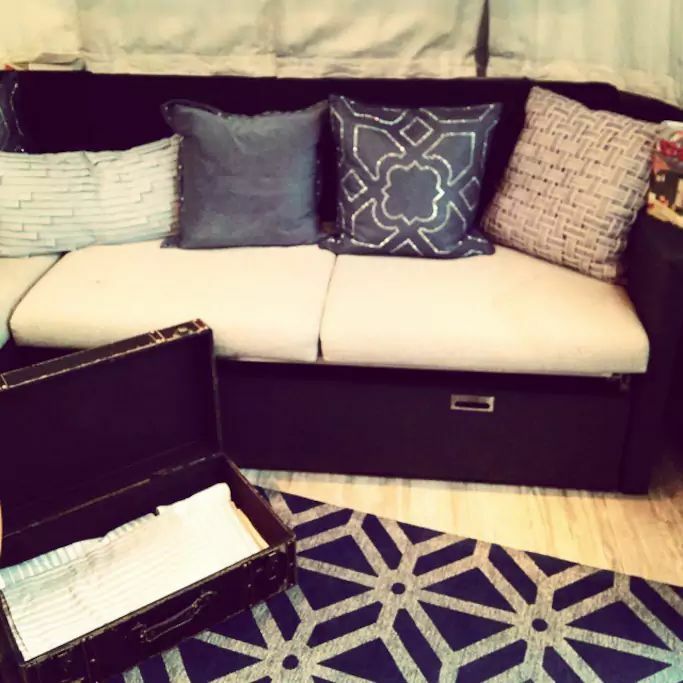 The Airbnb host, Shauna, feels pretty confident when she writes, "Our neighborhood is the best in San Diego, in my opinion." Loretta is in an unbeatable central location. Being just two miles from the San Diego Zoo, two miles from Balboa Park Museum, and a ten-minute drive from Sea World, visitors will not run out of things to see in the area. 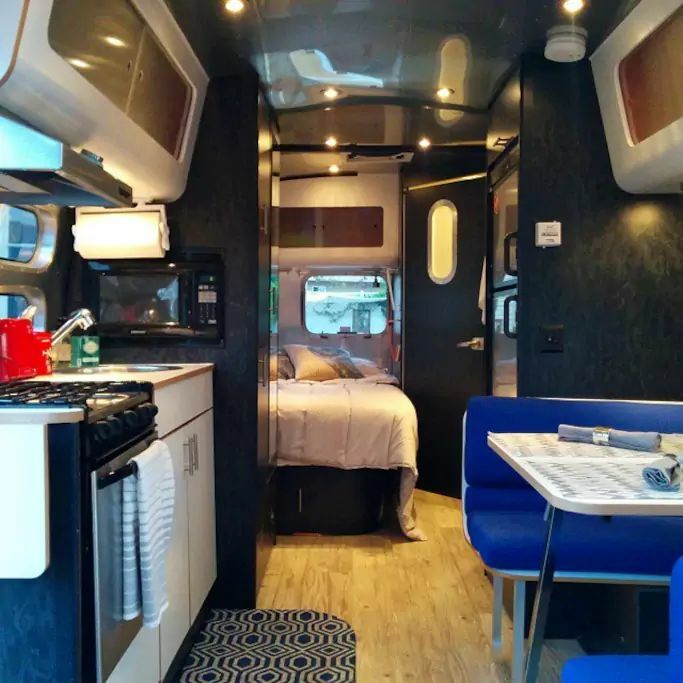 You will love the unique Airstream experience but will also enjoy having all the modern comforts of home such as an updated kitchen, cozy living area, and spacious bedroom. Take a look inside. 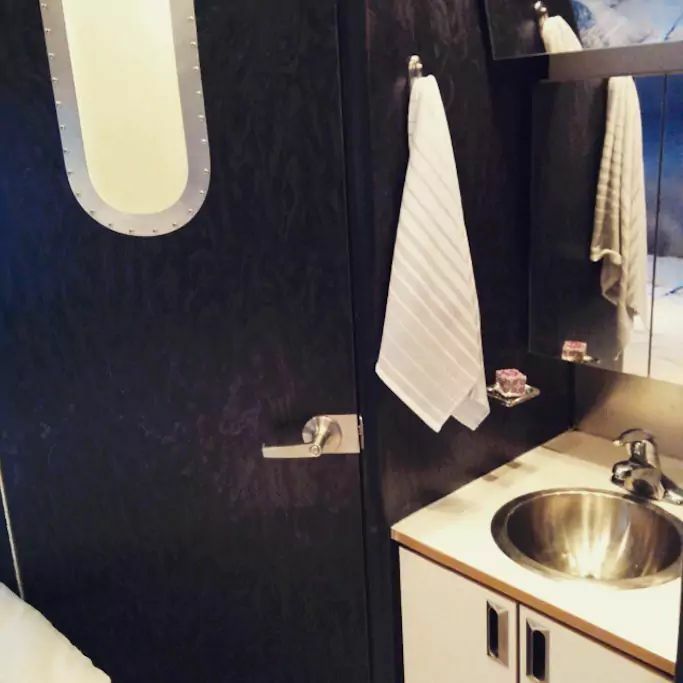 We love the modern interior of this Airstream. The dark gray and blue color scheme goes perfectly with the polished metal of the walls and ceiling. 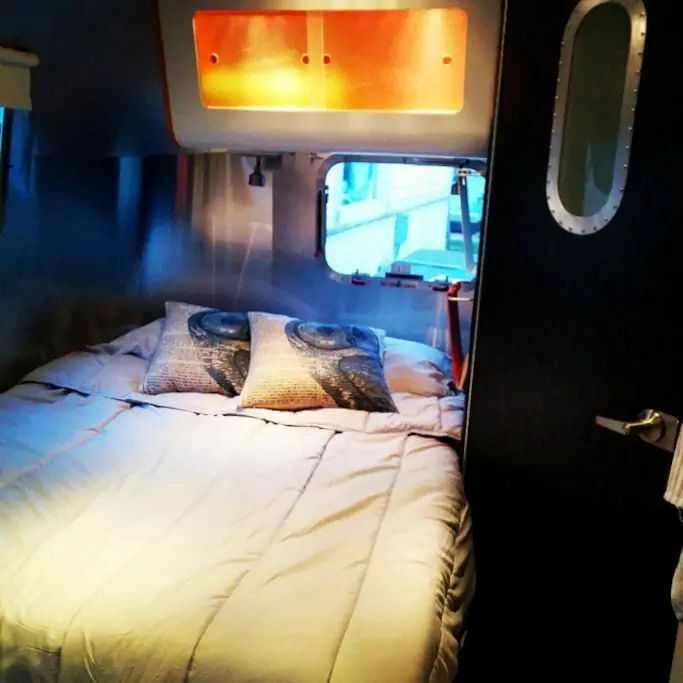 Not to mention, the open layout makes this 25-foot (7.6-meter) seem super spacious. 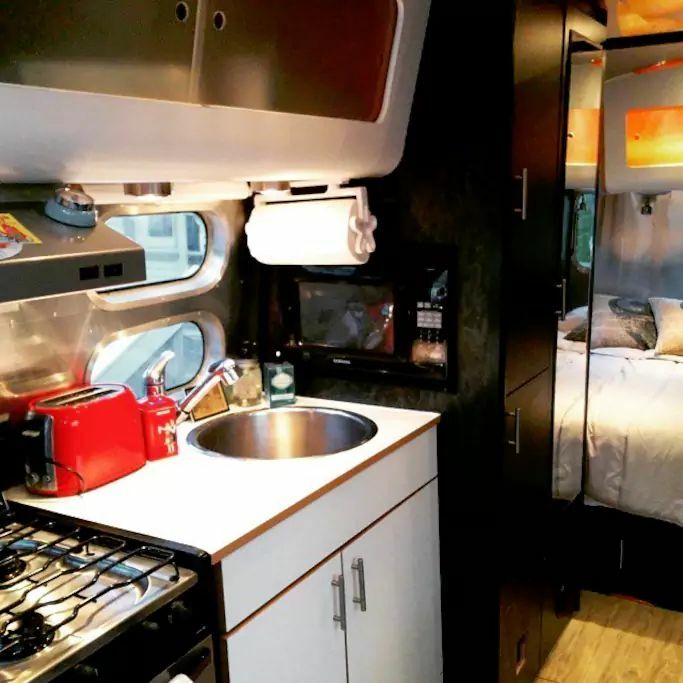 Everything in the kitchen is standard RV size, but that doesn't mean you can't whip up an amazing full-size meal. 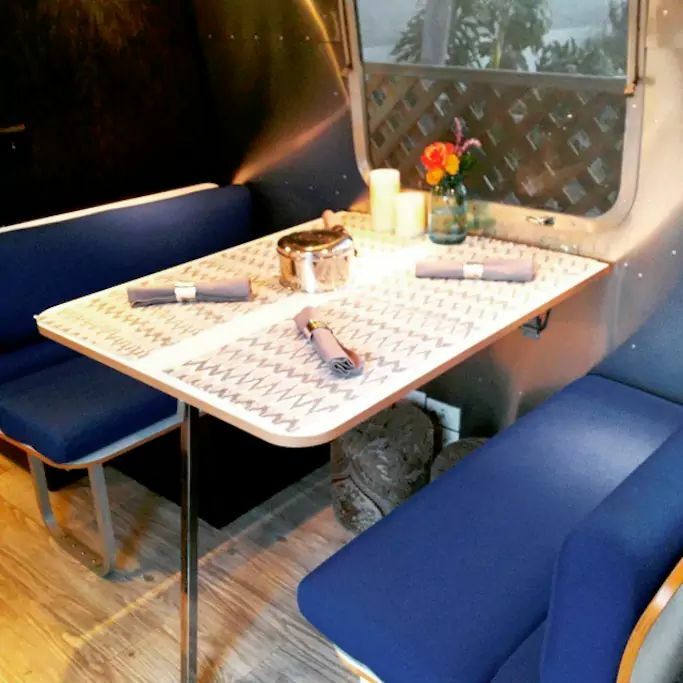 Enjoy your dinner at this lovely blue booth or go out to eat and use the dinette as an additional bed at night. The couch in the living area can also be pulled out into a bed, but it is perfect for entertaining or relaxing just the way it is. ...and crawling into this bed at night will provide you with unparalleled comfort. Don't forget to share Loretta with your friends on Facebook, Pinterest, and Twitter!